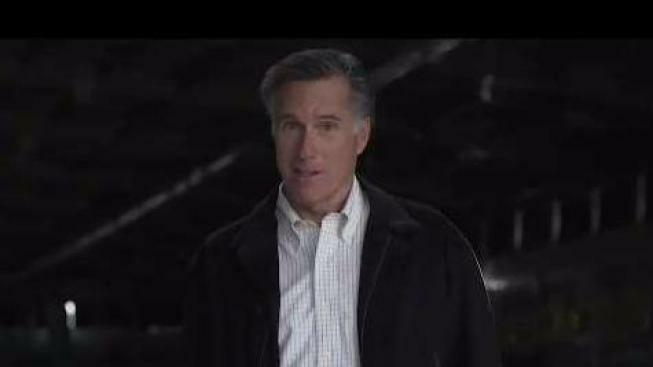 The former presidential candidate, promising to "bring Utah's values to Washington," took on the changing political dynamic, saying that "on Utah's capitol hill, people treat one another with respect"
Mitt Romney officially announced his bid for the Utah Senate seat in a two-minute video released Friday, promising to "bring Utah's values to Washington." Former presidential hopeful Mitt Romney is running for a Utah Senate seat, officially launching his political comeback attempt Friday by praising his adopted home state as a model for an acrimonious national government in Washington. Having been one of the Republican Party's fiercest internal critics of President Donald Trump, Romney didn't mention the administration or Trump himself in a campaign announcement posted online. The closest allusion to Trump was Romney noting that Utah "welcomes legal immigrants from around the world," while "Washington sends immigrants a message of exclusion." In an interview Friday with The Associated Press, Romney said he will continue to speak out when he takes exception to something the president says or does. "I call them like I see them. Neither he nor I are likely to change very much," Romney said, adding that they could work together on policy. "You can expect me to be as forthright as I have traditionally been." Romney, 70, will be the heavy favorite for the Senate seat being opened by Sen. Orrin Hatch's retirement. Hatch was among the first Republicans to pitch Romney as his potential successor, and gave Romney a memo last year outlining his case for why Romney should run, the former presidential candidate confirmed Friday. Romney said he won't run for president again but wouldn't rule out seeking re-election in six years if he wins Utah's Senate seat this November. "It's a little early to make that decision, but I recognize that I'm getting into this for the long haul. At age 70, that may not be three or four terms, but it may well be two," he said. Romney demurred when asked if he'd seek or accept Trump's endorsement and said he's focusing his campaign on Utah, where he moved with his wife, Ann, after losing the 2012 presidential election to incumbent Democrat Barack Obama. Romney, a former Massachusetts governor and wealthy business executive, would come to Capitol Hill with a higher profile than a typical freshman senator. Romney acknowledged that to the AP, saying, "I can fight for the people of Utah and do more for Utah than the average junior senator might be able to accomplish." That reality was made clear by immediate reactions to his announcement from across the political spectrum. House Speaker Paul Ryan, whom Romney tapped as his vice presidential running mate in 2012, immediately hailed his old partner's "unparalleled experience, conservative leadership and lifetime of service." Democrats, despite not yet offering any credible threat to the Republican dominance in Utah, answered with a scathing rebuke, dismissing Romney's periodic criticisms of Trump. "Mitt Romney desperately wants to separate himself from the extremism of the current administration," said Democratic National Committee spokesman Vedant Patel in a statement, but the "basic policies of Trump's GOP ... were his before they were Donald Trump's." Hours after making his campaign announcement early Friday, Romney filed paperwork with Utah's elections office allowing him to start collecting the signatures of 28,000 registered Republicans to earn a spot on a June primary ballot. He then toured a dairy farm in the northern Utah city of Ogden and dropped by a campaign volunteer booth set up at Utah Valley University in Orem, where he posed for pictures with a mob of excited college students. Romney used his first big speech as a Utah Senate candidate Friday night to call for action to prevent another deadly mass shooting like the one at a Florida high school that killed 17 people. He says it's "wrong and unacceptable for children in our schools to fear for their lives." Shootings will keep happening, he said, unless action is taken to prevent them, such as strengthening the FBI database of gun buyers and enhancing school security. Romney supporters describe him as a "favorite son" of Utah. He's a Brigham Young University graduate who went on to turn around the scandal-plagued 2002 Winter Olympics in Utah and become the first Mormon presidential nominee of a major political party. About 60 percent of Utah's residents are members of The Church of Jesus Christ of Latter-day Saints. Some Utah Republicans may still question whether the one-time abortion-rights supporter is too much of an outsider or too moderate for their tastes, but he's not expected to face any serious primary or general election challenge. Romney attracted headlines in 2016 when he took the extraordinary step of delivering a biting speech denouncing Trump, calling him a "phony" who was unfit for office. Romney muted his criticism for a time when Trump auditioned him as a potential secretary of state. For his part, Trump has said Romney "choked like a dog" in his failed presidential bids in 2012 and four years earlier, when Romney lost the GOP nomination to Arizona Sen. John McCain.